I began my career as an RDA for ten years and since then, I have been Dr. Ionescu’s scheduling coordinator. My experience and knowledge of all aspects of a dental practice allow me to help people both with their treatment and with the best schedule arrangements possible. In my many years of dentistry, I’ve learned that working in a dental office requires patience, passion, stamina, and endurance. I like working with Dr. Ionescu and all my staff because we project a positive, happy vibe through smiles and attitude. We work fluidly as a team and do our best to keep communication clear. I have lived in the Elk Grove community for more than a dozen years. My husband Brandon and I have two wonderful children: Our son Skyler is in high school and our daughter Deja is a young teen. Our children keep us busy with their sports activities. I enjoy spending time in Colorado visiting family every chance I get! As a patient care coordinator, I ensure that patients receive exceptional service while learning about their specific dental needs and goals. I support the patients throughout their visit, to ensure they have a smooth transition from the front office to the back. One of the biggest benefits of my job is helping someone feel better about themselves. It is also amazing to help educate people who don’t know how much their oral health can affect their overall health. I love the positive energy you feel here at our office, and you can tell right away that we work as a TEAM! I was born and raised in Elk Grove. I moved down to San Diego for college. When I moved back, I met my husband, who was also an Elk Grove native. We married in 2012 and have two daughters, Blakely and Harper. I enjoy spending time with my family, working out, and traveling, and recently found a new passion for baking and cooking. 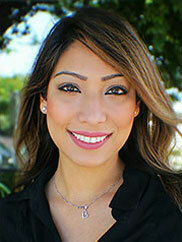 I have more than 15 years of clinical experience in the dental field. My desire to grow and expand in my profession led me to continue my education as an EFII. I enjoy building relationships with patients and providing them with an amazing experience. 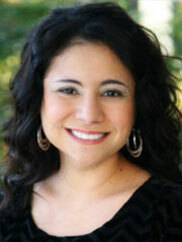 My goal is to help patients feel at ease, comfortable, and like family at every dental visit. In all of my years in the dental field, I have never worked with people who are so exceptional at providing such a high quality of dental care. As a team, we all work so well together and have built strong, solid friendships that will undoubtedly last a lifetime. When I’m not saving the world one tooth at a time, I enjoy spending time with my wonderful husband Eric and our two beautiful daughters, Olivia and Alana. We love spending our days traveling, shopping, and making memories with friends and family. 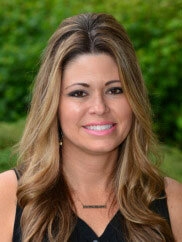 I attended Diablo Valley College for dental assisting and became a registered dental assistant in 2006. I received additional training and obtained my registered dental assistant extended functions II license in 2013. 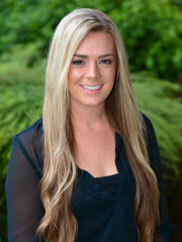 I enjoy interacting and establishing positive relationships with our patients on a daily basis. Dentistry by Design is a progressive, team-oriented practice with a high standard of excellence. I’m proud to say I’m a part of our team! I was born and raised in a small town on the Delta. When I’m not working, I’m a busy mom to two amazing kids. I attended High Tech Institute for dental assisting and graduated in 2004. I joined Dentistry by Design in 2017 and truly believe that we all have the same goal: to provide the best care to our patients. I perform a variety of patient care, office duties, and laboratory duties, and work chairside with Dr. Ionescu to provide a comfortable patient experience. I am passionate about helping others! In addition to my work in the office, I also enjoy traveling to volunteer with CDA Cares dental clinic, a nonprofit organization that provides free dental care to those in need. I have three amazing children who keep me busy with dance performances, softball games, and baseball games. I also enjoy the outdoors, working out, and spending as much time with my family as possible. 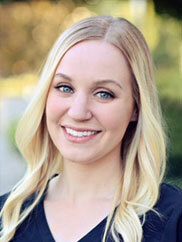 I have been a hygienist since 2009, after attending Eastern Washington University for my bachelor’s degree in dental hygiene. It is so fulfilling to provide exceptional care through specified therapy to each patient based on their individual periodontal, gingival, and dental needs. Ours is a team that works together to provide the best possible experience for our patients. We are constantly striving to learn and grow, all while maintaining friendships and sharing a positive and fun work environment. I was born and raised in Edmonton, Alberta, Canada. I moved to Seattle in 2005 and when I married my husband, Harman, we moved to Sacramento in 2014. We have a beautiful daughter named Savani who was born June 2018. We are always looking to try new restaurants because good food makes us happy! I love to travel any chance I get. 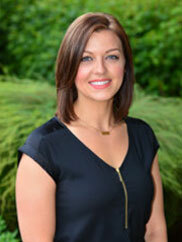 I earned my associate’s degree of science in dental hygiene in 2010, and recently joined the Dentistry by Design team. Everyone here shares a refreshing passion for dentistry. The most important part of my job as a hygienist is educating patients on ways to improve and maintain good oral health. I also feel that it is vital to help patients overcome their dental fear and anxiety by building relationships with them based on trust. I was born and raised in Elk Grove. My husband and I have two boys. Together, we love to spend time at the racetrack, traveling, and camping.